The Tuareg guitarist who has been compared to everyone from Jimi Hendrix to Mark Knopfler has crafted a a fuzzy sounding release with Nomad. While he doesn't resemble those giants of guitar to these ears, his playing does have a sound very akin to the producer of this album Dan Auerbach of The Black Keys. The result of this pairing is a delightful run through of Bombino's style. The loose "Amidinine" sets the tone with its blowing sand scuffed riffs howling around as Bombino (real name Omara Moctar) sings in his native tongue of Tamashek. "Ahulakamine Hulan" is more of a rambling acoustic outlier; most of Bombino's tunes (not unlike early Black Keys) revolve around one meaty electric riff and then spiral small changes off as the band progresses, building up interesting phrases amongst the repetition. The upbeat distorted "Azamane Tiliade" is more the norm of this groups style. You can hear some of Auerbach's influences as the band has opened up musically from their previous release Agadez. The vibes that sneak in during the instantly engaging "Imuhar" pushes that track to the front of the line while the playful organ in "Niamey Jam" also brings a smile. 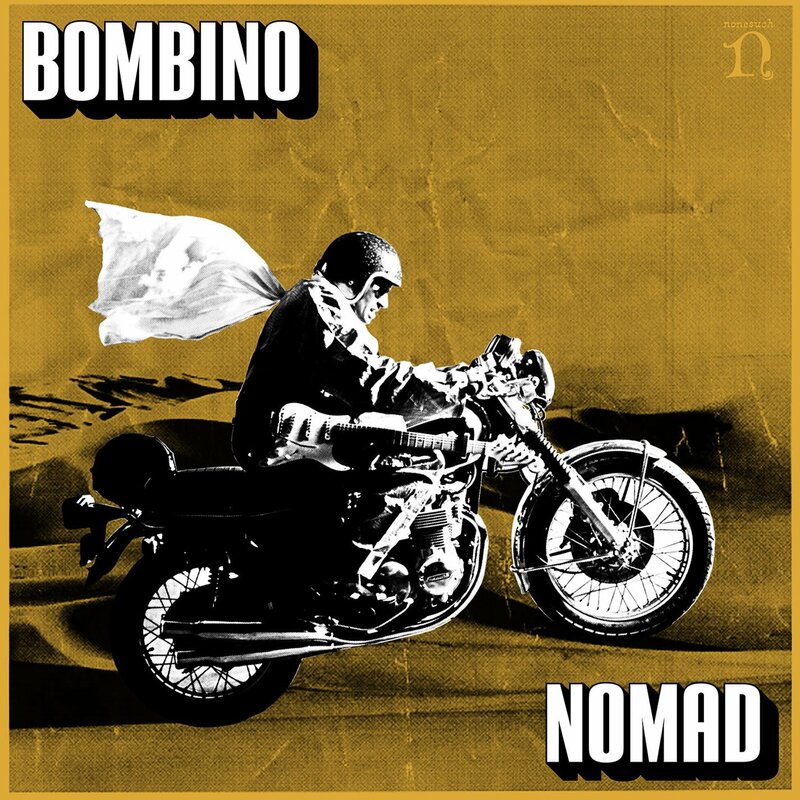 Not knowing what the lyrics are actually singing about could be an issue for some but Bombino keeps things vocally very much connected to the guitar lines he plays; singing/chanting melodically throughout. Even though political protest lies at the heart of the bands playing, anyone can connect. Nomad does at times feel a touch repetitive all over but little things like the cowboy gallop of "Imidiwan" or the hand drums and nervous rising organ of "Zigzan" make things engaging enough to return to. Auerbach's producers credits need to be hyped as well, Reigning Sound, Doctor John, and now Bombino all while fronting one of the biggest bands in the world is nothing to take lightly. Let's hope everyone involved keeps up the goodness.